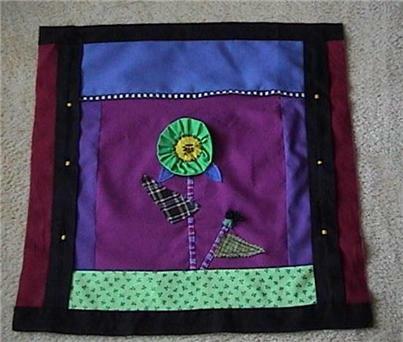 This is a beautiful new Sunflower, Thistle, Clover, Appliqued Wall Mini Quilt Top that I made. The french knots were done by hand. All sewing was done on my sewing machine. 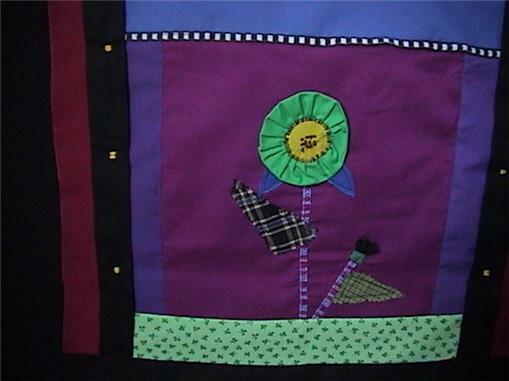 The colors are purple, cranberry, burgundy, blue sky, yellow flower center, green and black. Notice the black and white trim near the top. 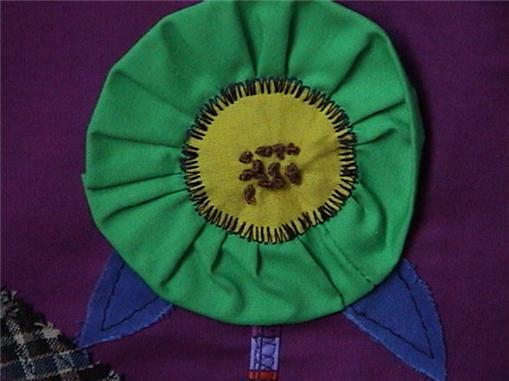 The clover / shamrock fabric is strategically located at the root of the thistle and sunflower. Very clever. You can do more embellishing if desired. For instance, you can add a sun in the blue area, add more flowers, a house, a tree, etc. I've done the basic work. The stems are plaid. The leaves are homespun. This is ready for you to add batting, backing and your fabulous quilting techniques. Fabrics are good quality cottons and 50/50 cotton/poly. All fabrics are NEW. ~~~~~~~~~~~~~~~~~~~~~~~~ FROM A SMOKE FREE- pet free HOME.